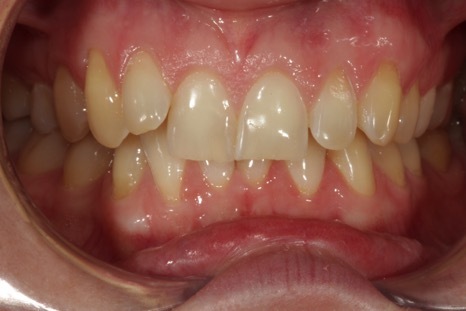 This case shows a healthy set of teeth but uneven levels. 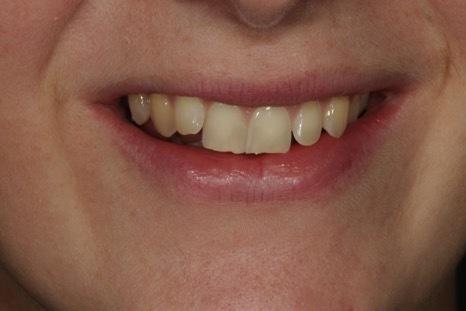 The lateral incisors are higher up than the central incisor teeth. Options were discussed and I advised against ceramic veneers as this would have been too destructive to achieve a good result. A system called QST (Quick Straight Teeth) was used. This employs discreet ceramic brackets rather than the traditional metal ‘train tracks’. 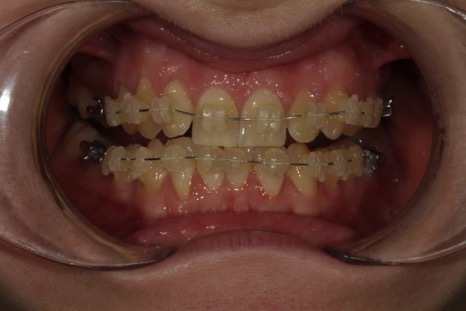 The treatment in this case took just over 3 months to complete. 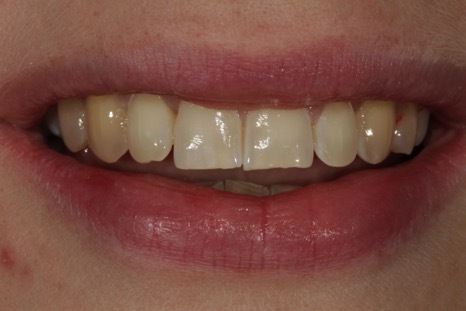 The final result is stabilised with fixed wire retainers bonded to the backs of the teeth to prevent relapse.